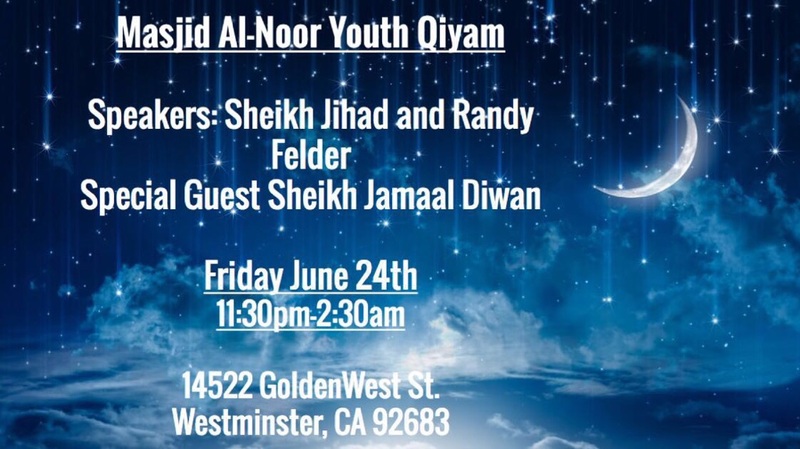 Assalamo Alaikum – Please join us for Youth Qiyam Program in Masjid Al-Noor on June 24, 2016. Time: right after Taraweeh and Witr prayers (around 11:30 pm) until 2:30 AM. ← Assalamo Alaikum – Please join us for Qiyam in Masjid Al-Noor on June 10, 2016.